The Parthenon Company Blog - Specialists in Wound and Ostomy Supplies: Think Leakage Reduction with Coloplast's NEW Brava Moldable Ring! Think Leakage Reduction with Coloplast's NEW Brava Moldable Ring! The seal around the stoma needs to be resistant to breaking down and dissolving; otherwise there can be risk of leakage. This can damage the skin adn require unplanned appliance changes. The Brava™ Mouldable Ring can serve as your first line of defense to keep leaks at bay - an erosion resistant formulation delivers longer lasting protection against leakage. Like paste, the ring is used to fill in uneven skin surfaces and protect the skin. alcohol free = sting free! Apply a Brava Moldable Ring around your stoma to create a tight seal by filling in creases and folds around the stoma and stop leaks NOW! 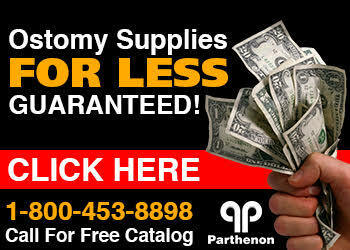 The Parthenon Company specializes in Coloplast ostomy supplies and is very familiar with their new Brava accessory line. We can help you get what you need at the LOWEST PRICE nationwide.